I thought the Health Innovation Programme wasn’t for businesses like mine. How wrong could I be? 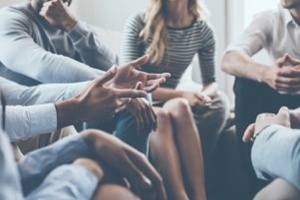 Debra Carter, founder of Touch Network, describes her experiences of the March 2018 Health Innovation Programme and what it’s meant for her business. In 2016 I founded a Community Interest Company – Touch Network – which is all about sharing real life stories in everyday settings. We run events at bars, restaurants and coffee shops as well as publish short stories and run workshops. It is all about getting people talking, in order to improve health and wellbeing. 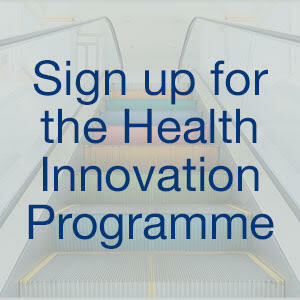 If you’re a health entrepreneur find out more about our upcoming Health Innovation Programmes. Earlier this year I attended a health event at Chilworth Park in Southampton and met the SETsquared team. They were very supportive of my business idea and recommended the Health Innovation Programme (HIP) as it’s geared to people who are looking for support in writing a business plan and turning an idea into a reality. Initially I was unsure about my suitability for the programme – my business is quite different and I was concerned I would be the only one without a science-based invention or idea. I couldn’t have been more wrong. The Health Innovation Programme was amazing. It was a real turning point for me in terms of project development of my business. I knew I needed to write a business plan but the programme made me really think a lot deeper into what I could achieve and how to get there. What’s more, the programme actually re-inspired me about my business and why I’m doing it. The course gave me a new level of confidence in both myself and my business offering. During the programme I identified that my biggest challenge is finding the right people to help take my business further. By its very nature, Touch Network is very personal and has always relied on me as the face of the company. This can make trusting and hiring other people to take it forward very difficult. To overcome this, I learnt that I needed to distil down my personality and use that as a job description template to hire people who will share my vision. To achieve this I’ve recently started working with an Occupational Psychologist who is helping me analyse the skills I’m looking for. Growth is essential for breaking through so this has been a pivotal point for me in my future planning.